The African Development Bank offers internship programmes to students from its member African countries currently undertaking their masters’ programme at any recognized public or private institution. ii)Provide the Bank with a pool of potential candidates for future recruitment purposes. 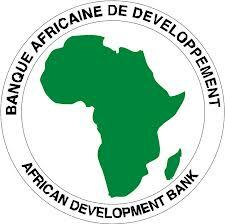 However applicants should not expect the internship to lead to immediate employment with the AfDB. Algeria, Angola, Benin, Botswana, Burkina Faso, Burundi, Cameroon, Cape Verde, Central African Republic, Chad, Comoros, Congo, Democratic Republic of Congo, Côte d’Ivoire, Djibouti, Egypt, Eritrea, Equatorial Guinea, Ethiopia, Gabon, Gambia, Ghana, Guinea, Guinea-Bissau, Kenya, Lesotho, Liberia, Libya, Madagascar, Malawi, Mali, Mauritania, Mauritius, Morocco, Mozambique, Namibia, Niger, Nigeria, Rwanda, São Tomé & Príncipe, Senegal, Seychelles, Sierra Leone, Somalia, South Africa, Sudan, Swaziland, Tanzania, Togo, Tunisia, Uganda, Zambia, Zimbabwe. (Units of Accounts - AfDB moving average exchange rate applicable in March 2013 was 1 UA= $1.53070 = 1.18404 Euro = 2.40833 TND). Interns are responsible for their travel fare to and from the location of their internship, for their visa if applicable. They are required to have international medical insurance coverage for the duration of their internship. Applicants are required to apply on line. Please note that only complete applications will be processed (all information requested on line should be provided). Applicants are also requested to attach: a comprehensive CV and a cover letter; AND a copy of the latest Degree or equivalent. Winter - Session I: February through April 2014. Application period from 1st July 2013 to 15th September 2013. Summer - Session II: June through August 2014. Application period from 1st December 2013 to 15th February 2014. This internship programme is offered every year. However, you will NOT be able to apply EXCEPT within the official application period (please see 'DEADLINES' above for this). Only complete applications will be processed. All information requested on the application page should be provided.